> WHY DO FILIPINOS GO GAGA OVER MAGNUM? 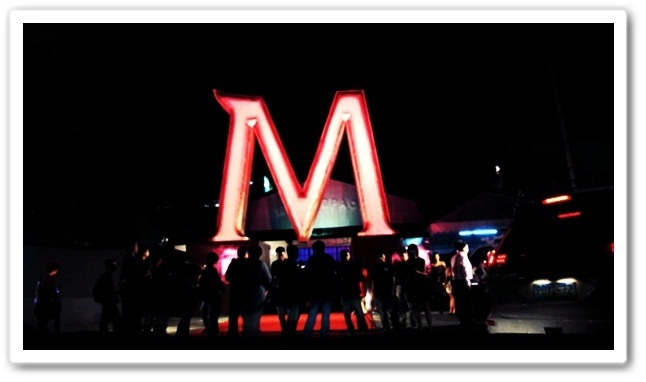 WHY DO FILIPINOS GO GAGA OVER MAGNUM? There's so much hype about this Magnum. A lot of people I know buy Magnum at every chance they get. Hey, Gunless Society of the Philippines don't look at me like that :-P! We're talking about Magnum Ice Cream here dear, not the gun, ha ha ha! Some of you might have thought that the Philippines had gone into war or civil unrest. 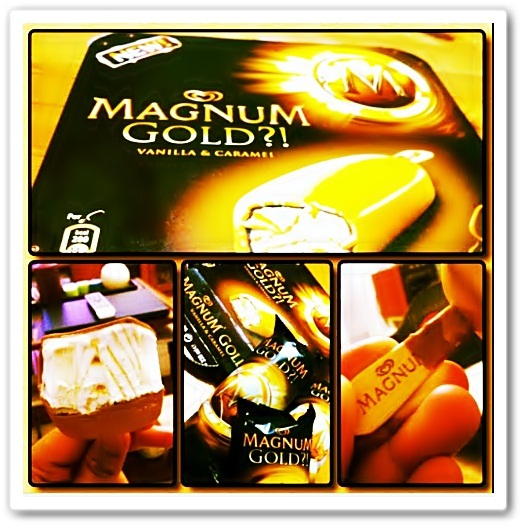 Well, well, we're just dissecting how engrossed the Filipinos are right now with this so called Magnum ice cream. 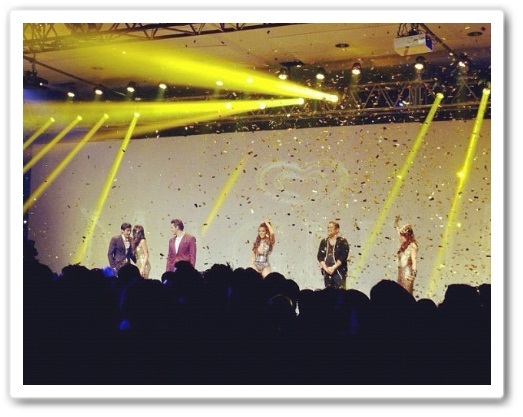 Why do Filipinos go gaga over Magnum? I observed, read and look at every nook and corner of Facebook, Forums and Twitter so I would know the answer to this question. I learned, it is simply because a lot of Filipinos would like to be"IN" on what's hot this summer. Oo nga naman, in order for them to take part in every conversations, FB post, FB pose and tweet about MAGNUM's taste they needed to buy a Magnum Ice Cream and taste it themselves.. This is Ann Curtis instagram picture of Magnum on Twitter. 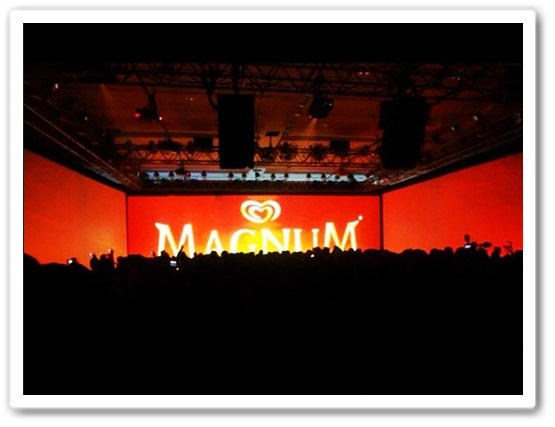 Magnum is an ice cream brand owned by the British/Dutch Unilever company, and sold as part of the Heartbrand line of products in most countries. It was originally made by Frisko in Aarhus, Denmark. 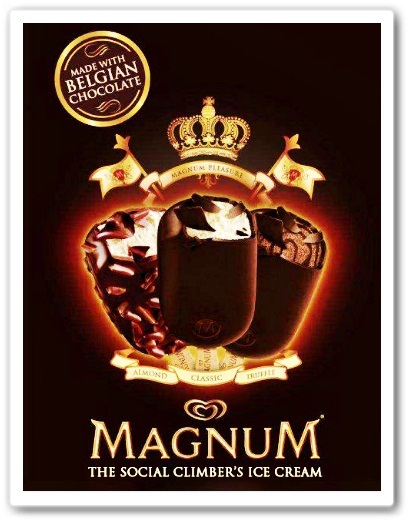 The original 1987 Magnum (later rebranded as Magnum Classic) consisted of a thick bar of vanilla ice cream on a stick, covered with white or dark chocolate, with a weight of 86 grams (120 ml). In 1994, the company also started selling Magnum ice cream cones, and in 2002, an ice cream sandwich. 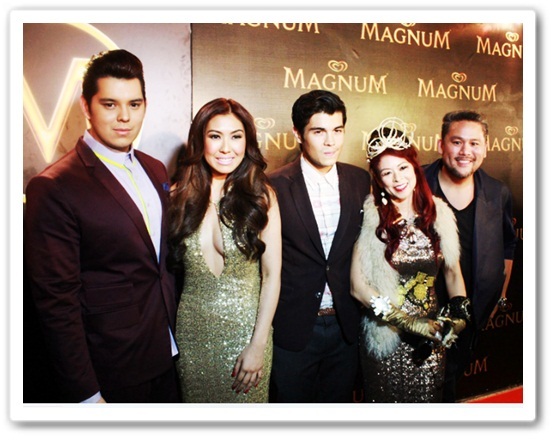 Magnum Ice cream has 4 flavors being offered in the Philippines. MAGNUM Classic - Has thin coatings of bitter sweet, dark chocolate. 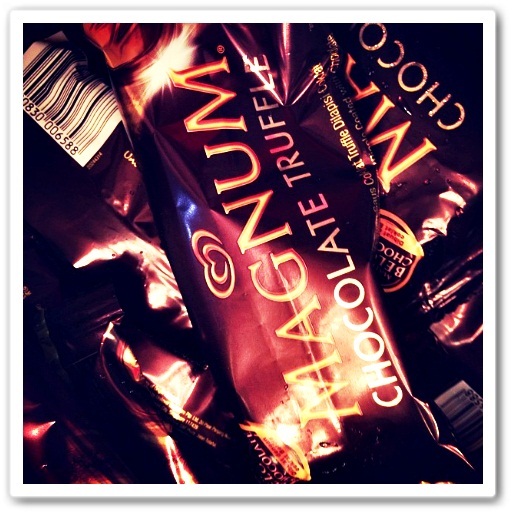 MAGNUM Truffles - Some find this outrageously Delicious. Why? Because it is said to have a velvety smooth vanilla ice cream inside covered in thick cracking Belgian chocolate outside. 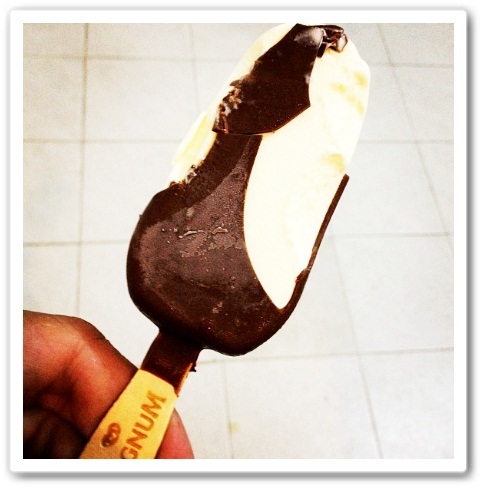 MAGNUM Almond - It is said to be made of milky chocolate, a little thicker than Magnum classic with almond bits. Almost the same taste as that of Cadbury Milk Chocolate. The vanilla ice cream has a smooth taste and taste like very smooth McDo sundae. Magnum Caramel flavor - Some like Caramel. And said to favor this flavor more than the others. Instagram pix by Goma ( Richard Gomez). All my eyes can see is an ordinary ice cream but yummy according to a lot of Filipinos. Well I believe it is a little bit expensive. And I don't have a job. So that means I am not in :-( How can I tweet like crazy like them? 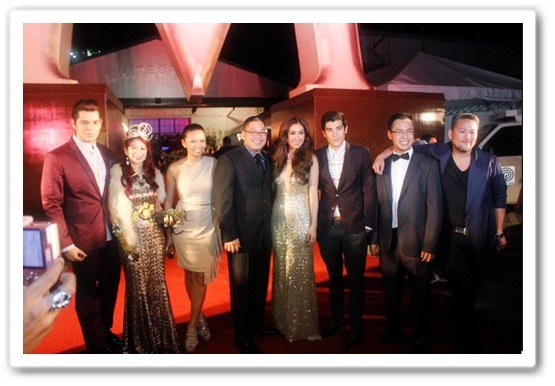 My make-believe fame had all gone kaput when RFM-Selecta did not bother to invite me to their Magnum Ice Cream grand launching last March 14, 2012 at the Whitespace in Makati City. 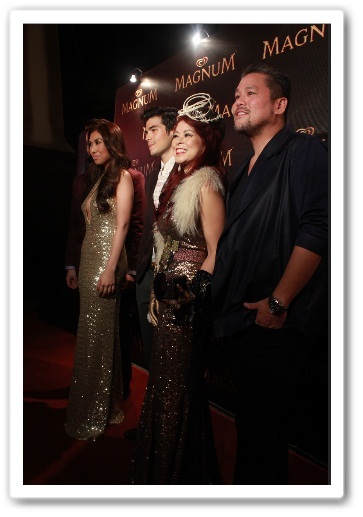 I could have rubbed elbows sana with Magnum Ice Cream's brand ambassadors Raymond Gutierrez, Liz Uy, Tessa Prieto-Valdes, Erwan Heussaff, Rajo Laurel and Solenn Heussaff, and with the handful of celebrities who also turned up for the Magnum VIP Party, such as Kim Chiu, Diether Ocampo, Ruffa Gutierrez, Bianca Gonzalez, Andi Eigenmann, Maxene Magalona, Champ Lui Pio, Rufa Mae Quinto, Fabio Ide, Gino dela Peña, Mikael Daez, ABS-CBN President Charo Santos-Concio, GMA CEO Felipe L. Gozon and a lot more. Red Hot Car! 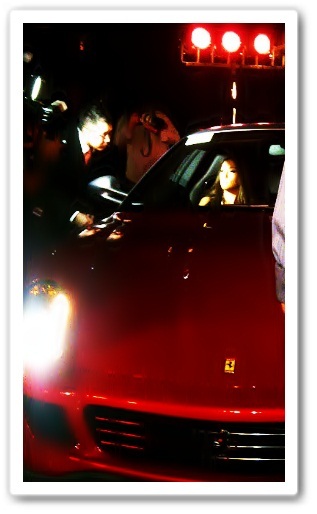 Ferrari is it for Solenn Heussaff's ride. 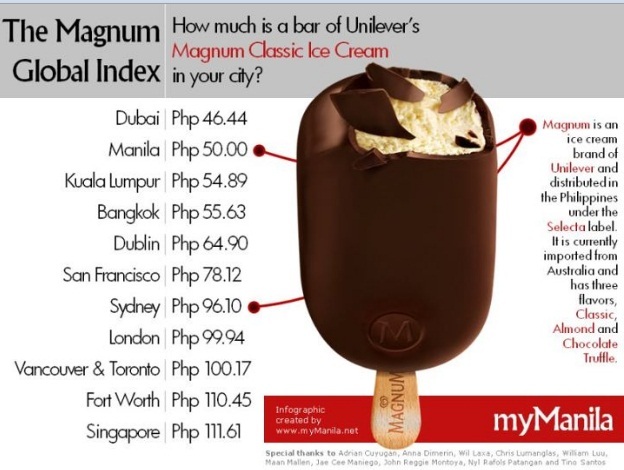 Magnum is said to be surprisingly affordable in the Philippines. Priced at just P50 each in major supermarkets, it’s a guilt-free indulgence every Filipino pleasure-seeker can enjoy. 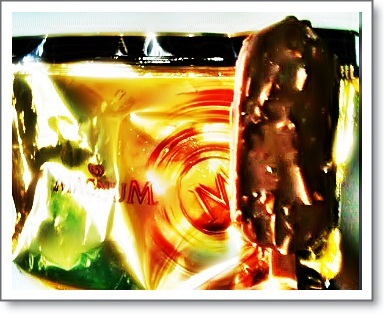 Magnum is said to be available for Php 60.00 at 7-Eleven stores, Php 55.00 at Mini Stop and Php 50.00 at supermarkets. It is said to be available in different convenience stores, gasoline stations and sari-sari stores nationwide. Anyway, the fourth flavor Magnum Caramel flavor is said to be available at S &R.
I bought 2 for my kids noong nag shopping kami sa SM because there is someone near the cashier selling it ... Anyway ... my son just took a bite and threw it in the basin :P I know my son loves Ice Cream ... so I don't know why he threw it ... thought my daughter seems to like it, because she ate the whole bar. Haven't tasted it myself ... and I don't think I will be interested in doing so after my son threw it in the SINK :P every time I see MAGNUM, I will be reminded of the SINK. We just came in from 7-11 270 pcs. of Magnum ubos everyday nauubusan sila ng stock parati sa branch nila :-( sayang pagkakataon ko na sana na matikman :-( Ibig sabihin ilang libo nauubos ng Pinoy na magnum sa buong bansa!!! I haven't tried Magnum yet up until now. Lol. Might try soon and post my review. Lol. You are welcome Peter! Sana may angel na mag padala ng Magnum :-) Para matikman ko din ha ha ha! I think it's the taste. Masarap naman, except for Chocolate Truffle which is too sweet for me. 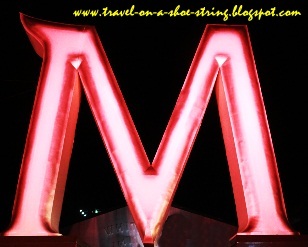 Ha ha ha Peter sige mamasahe ako ng more than 1,000 mawala lang sa McKinley or Fort :-p! =))Salamat in advance makakakain na ako ng Magnum ice cream nito sa wakas ha ha ha! Buti ka pa po Rowena nakatikim na ng Magnum Ice Cream :-) Tsalap daw talaga, yummy na yummy yung Caramel daw po! I need to look for this ice cream! The Filipino taste is still the best! Grabe, craze talaga ang Magnun. Pati mga friends ko craving pero hindi alam kung saan bumili, hehe. binabasa ko pa lang e.. gusto ko na tumakbo walmart dito to check if available!!! I love Magnum, especially the almond flavored one. I don't get it why some people are hating though. Seems like anything that's successful in mainstream are taken as "pang social climber". Jeebuz, these hipsters. Ack. Well the stock at Ministop store on Eisenhower Street in Greenhills is still full. Depends on where you go siguro. I tried one the other day just to stop my friend from badgering me. Its okay really, but not worth the hype. Too new money in my view. Its just ice cream on a stick. Anyway, Just buy cornetto if you cant find one. I love to try Magnum but it is always out of stock here. I hope to find Magnum in malls. Because it tastes like heaven. Try and you'll love it! magnum can't beat mayfield ice cream bars here is US. to those who can't afford magnum, just buy the regular pinipig crunch, you'll still enjoy while saving.